For those who love technology and have been following this magnificent industry today is a very especial day. 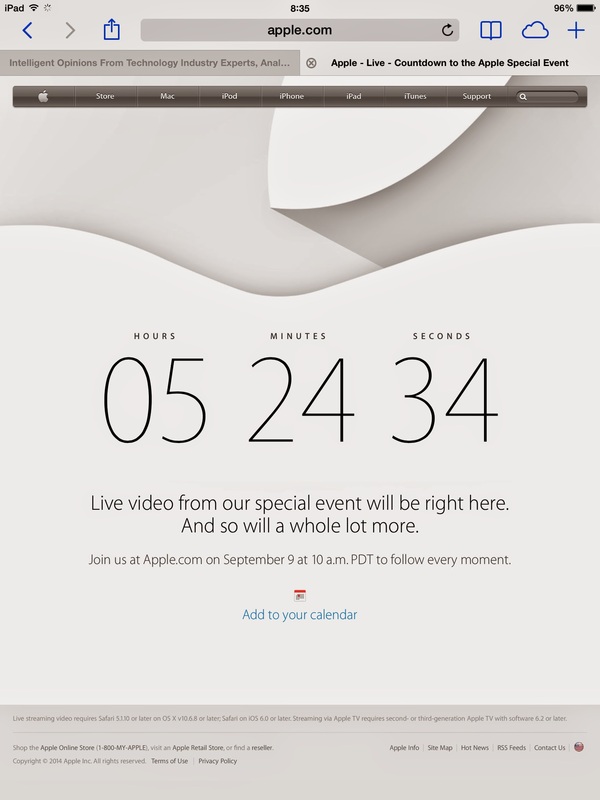 Apple will supposedly announce new products. Two possibly bigger iPhones, iWatch and mybe the iPad Air 2. It will not be only about these new devices but the technology behind them all. 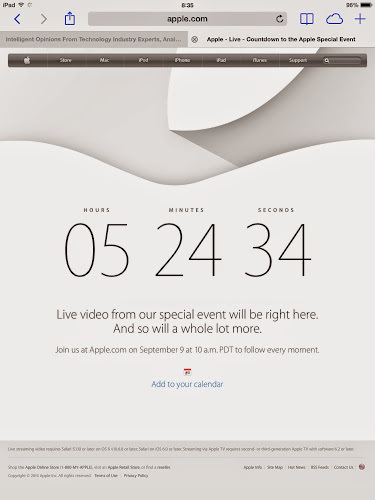 iOS 8 will be officially announced too. I think this is gojng to be huge. Big names in the fashion world have been invited which may indicate a possible iWatch. Will Apple successes where many companies like LG, Samsung and Sony didn't? We will find out in the months to come. I just can't wait!